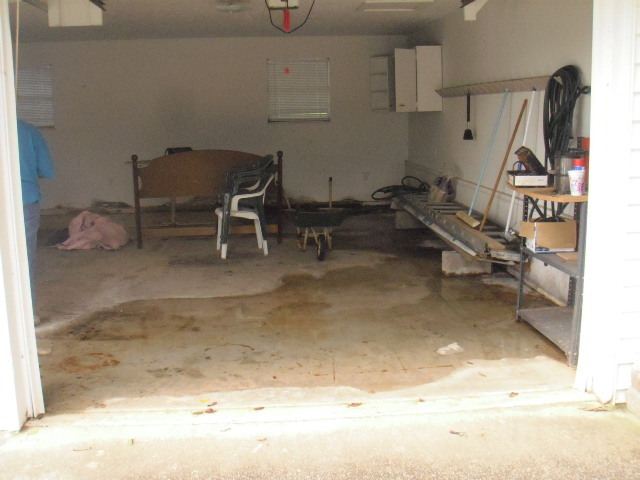 Garage was taking in rainwater runoff , which was causing mold on walls. 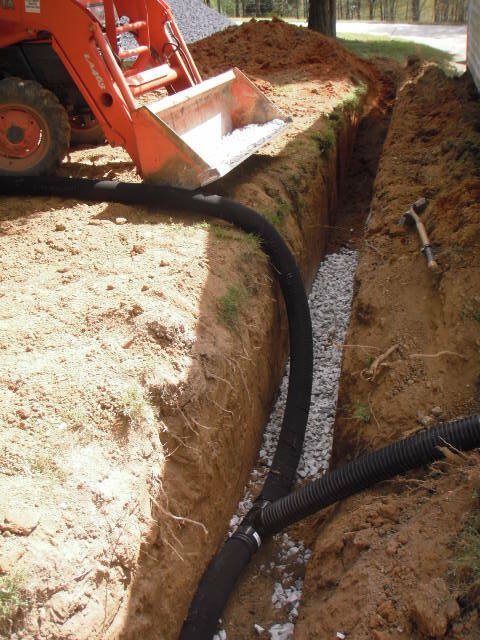 A French drain system was installed to control water intrusion because the grade sloped toward the house. 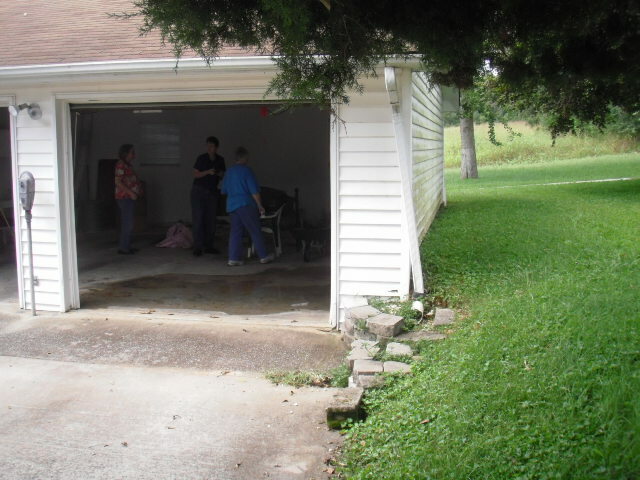 The gutters downspouts were tied in. 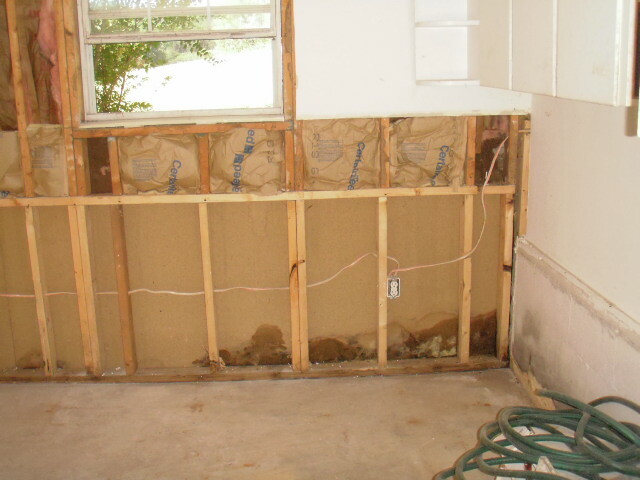 Garage walls were wet behind drywall from water intrusion due to site grade issues and improper flashing at exterior wall. 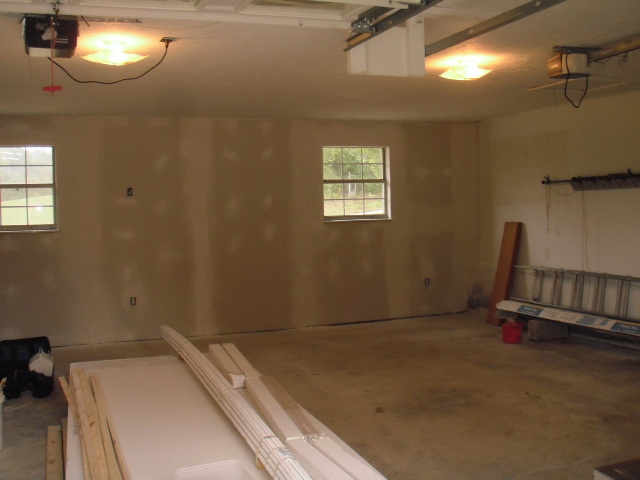 Garage wall was repaired after water intrusion was stopped. 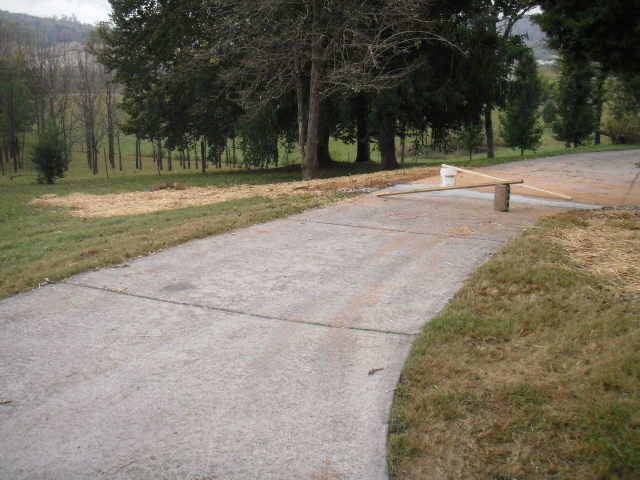 Driveway was repaired where drain channel went through. 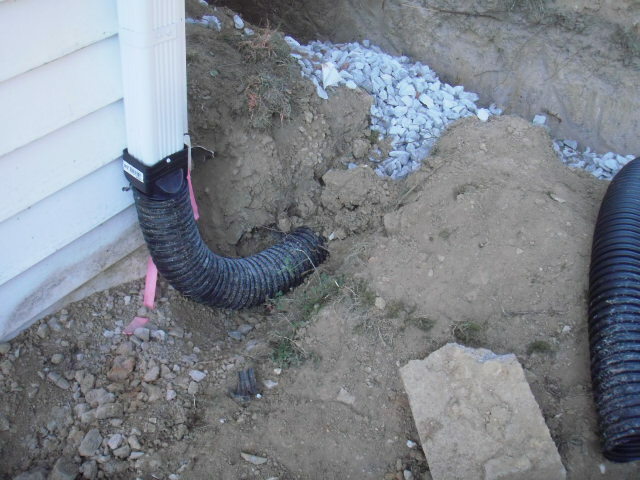 The drain daylights down-slope.